Want tosave 7,45 kn on this order and become Loyalty program member? Concentrated turmeric powder, Vitamin C, ginger and pepper. High power. Turmeric in many cultures is known in basic food as a spice, but much more is said about it since it has many great benefits that contribute to health. It has antioxidant and anti-inflammatory properties, regulates inflammation of the general body care, also has a beneficial effect on many body systems, such as bones, joints, muscles, nervous and cardiovascular systems. 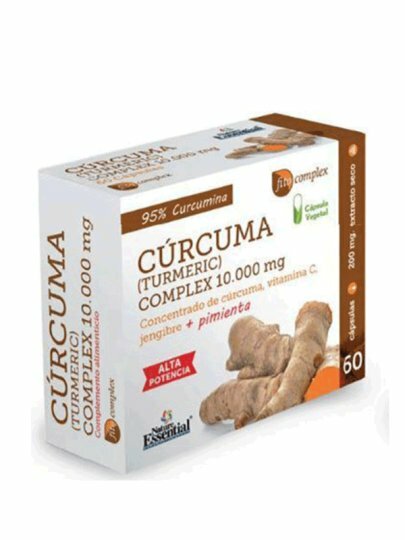 All these features are enhanced with the addition of vitamin C, ginger and pepper, which increases the bioavailability of active ingredients of turmeric. We recommend one (1) capsule a day, best with a meal. Swallow the capsule with a little liquid. Microcrystalline cellulose, methylcellulose, magnesium stearate vege, silicone dioxide, vege gelatine.